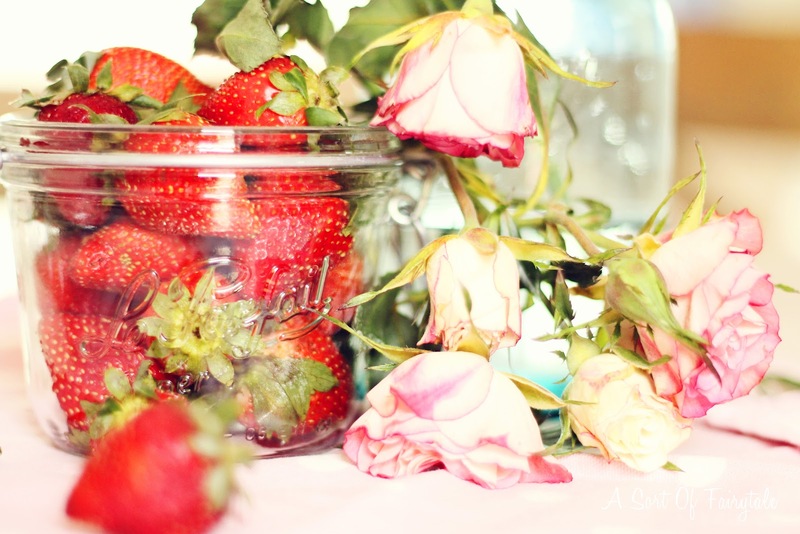 Roses and Strawberries...two of my favorite things! beautiful pics and wonderful color inspiration. love, love, love! have a wonderful easter with your beautiful family, stacey. Great pictures, and I really do love the colors! Stacey, your blog just gets better and better every week! I'm so proud of you! Very sweet, Stacey! 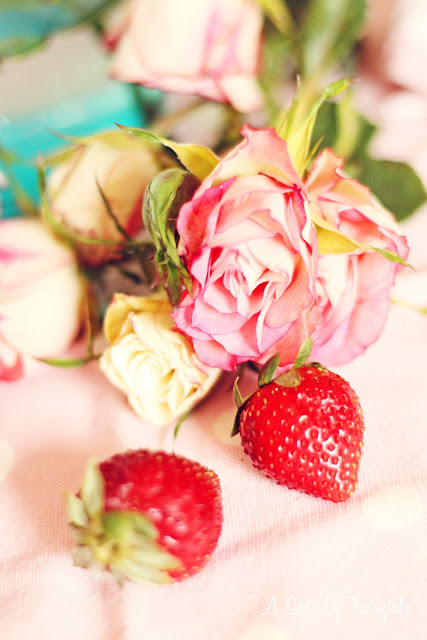 I love roses and strawberries and beautiful, inspiring photos of roses and strawberries too! Have a wonderful and fun Easter with Little Miss Maggie! Stacy! These are the loveliest photographs. I just love them and the color pallet! 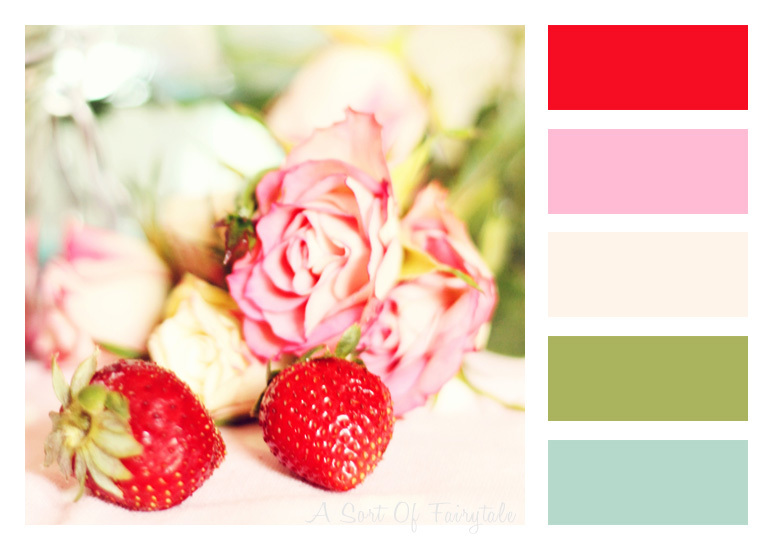 Your images of the roses and strawberries are just gorgeous! I enjoyed seeing two of my favorite things. So pretty! 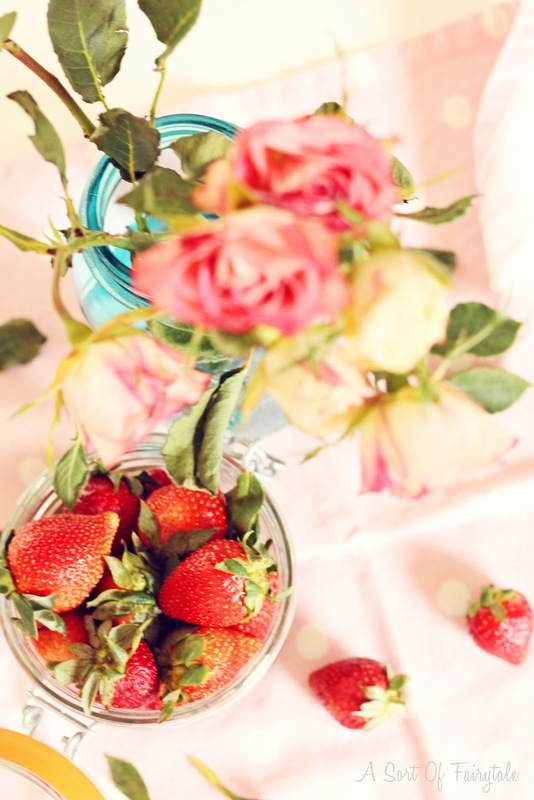 I love roses and strawberries, too. Your photos look gorgeous. Beautiful! It's too early here for roses or strawberries so it looks wonderful! PS congrats on the mag spread...its' gorgeous! Absolutely beautiful post (as always)! Beautiful! I love this color combination. Red, turquoise, and green are the colors I have used in my kitchen. 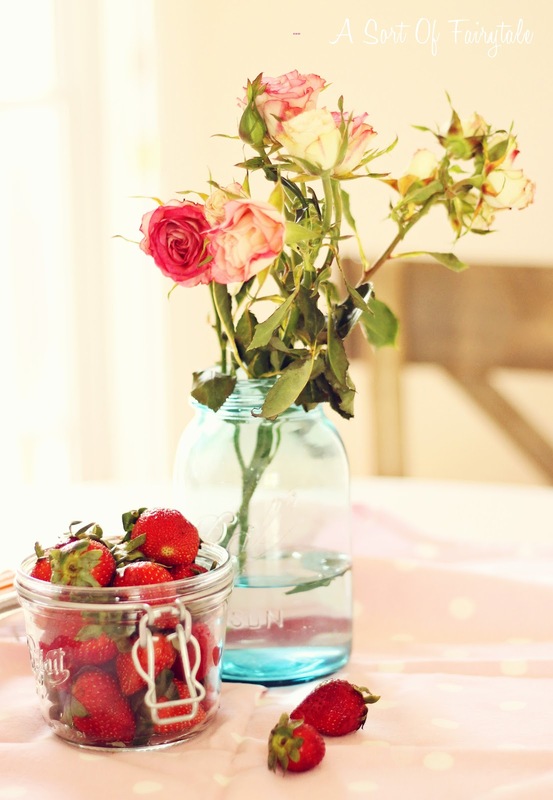 The roses and strawberries together are just delightful! Wow, what a generous gesture for sending such a lovely pillow to Caroline! Thanks for sharing your kindness with others. And you made me happy with my two favorites of Roses & Strawberries!